This past May I had the opportunity to visit London, England and multiple places in Germany. My girlfriend has been studying abroad since February and going to visit was the chance of a lifetime, as I was able to see her and also experience Europe. After visiting London, we headed to Germany and saw the cities of Hamburg, Tubingen and Frankfurt. One thing I noticed almost right away was the presence of graffiti. There was graffiti on trains, bridges, buildings and autobahn signs. It is easy to dismiss graffiti as vandalism. For example, people such as city officials typically see graffiti as something that is carried out by delinquent youth with nothing else on their mind than the defacement of public property. 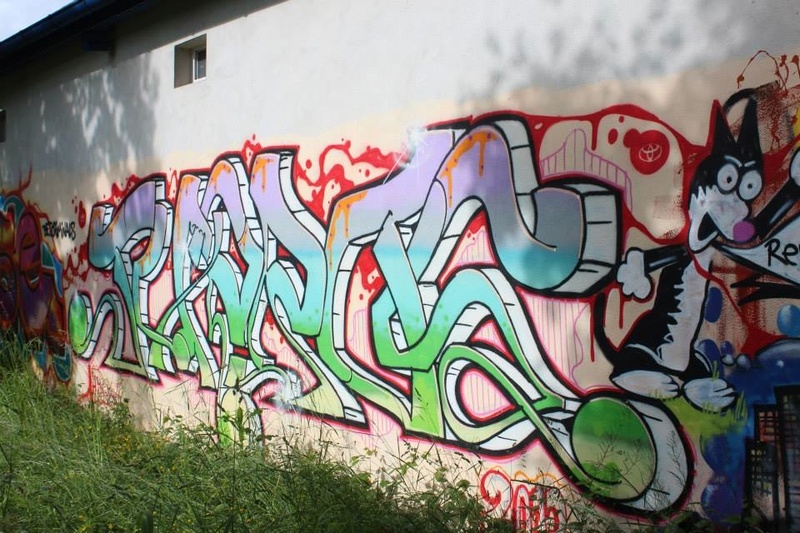 That being said, it is another thing altogether to consider graffiti as an artistic expression, and in the case of the German graffiti, an instance of global hip-hop. In Black Noise (1994), Tricia Rose discusses the origins of graffiti and its place in hip-hop culture. Hip-hop was born in New York City in the late 60’s and early 70’s in the face of inherently racist development projects that were a brutal process of community destruction and relocation executed by municipal officials and under the direction of legendary planner Robert Moses (Rose, 1994, p. 30). This was a time of immense social, economic and racial oppression for those living in areas such as the Bronx, Bedford Stuyvesant and Harlem. In the name of “urban renewal,” homes were destroyed and thousands relocated. As these neighborhoods were inaccurately deemed slums, the newly “relocated” black and Hispanic residents in the South Bronx were left with few city resources, fragmented leadership and limited political power (Rose, 1994, p. 33). Hip-hop culture began as a response to these city policies and was an outlet for people, especially the youth, in these areas to express their anger at the racially prejudiced city government. As Rose explains, “Although city leaders and the popular press had literally and figuratively condemned the South Bronx neighborhoods and their inhabitants, its youngest black and Hispanic residents answered back (p. 34).” Hip-hop is commonly thought of as a musical genre, and it is. The music is undoubtedly an important part of hip-hop culture as the words and beats provide an ideal outlet for expression. 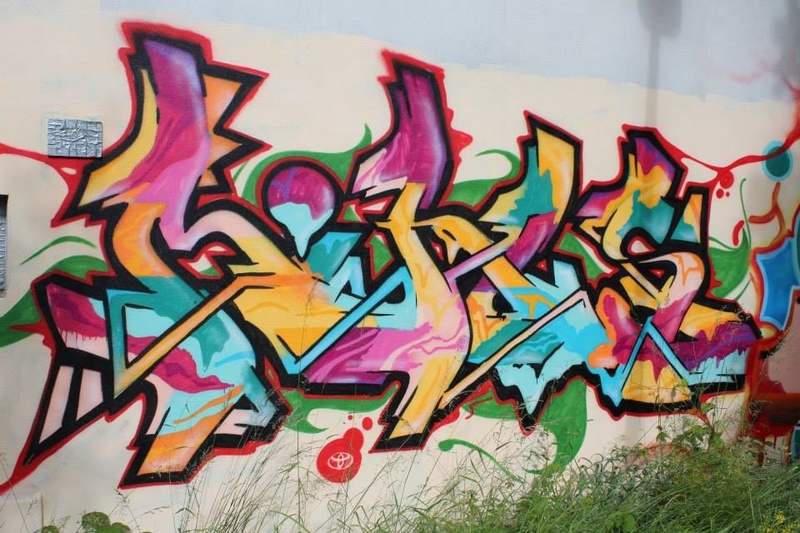 However, break dancing and graffiti were other ways for artists to participate in the process of self-naming and articulating their particular style. With graffiti, the stakes could not have been higher. The individual credited with the beginning of the graffiti movement was a Greek teen named Demetrius; more widely known as Taki 183. While working as a messenger and traveling by subway to all five boroughs of the city, Taki wrote his name all over the subway cars and stations (Rose, 1994, 42). This was in the early 70’s and by the middle years of the decade graffiti had reached a new level of intricacy. Trains were the ideal canvas for these works of art because they traveled all over the city. It took an immense amount of planning and knowledge to execute a piece. Moreover, it took an understanding of the subway system as well as countless sketches of the desired tag design and color choices. As Rose insists, “No longer a matter of simple tagging, graffiti began to develop elaborate styles, themes, formats and techniques, most of which were designed to increase visibility, individual identity and status (p. 42).” What began as simple designs on a small part of a train car quickly blossomed into detailed works. 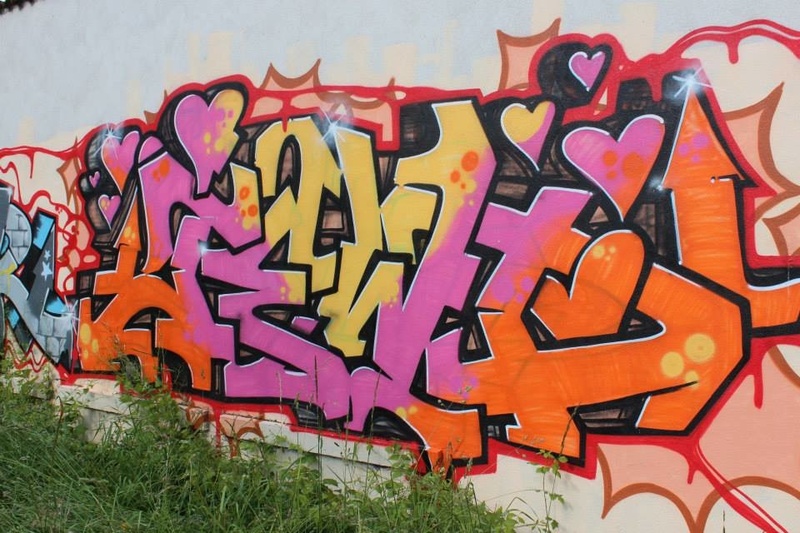 Graffiti art made it possible for systematically underrepresented individuals to claim their identity and further the values of resistance embedded within hip-hop culture. Similar to a work of art in a traditional setting such as a museum, it is important to take the time to study the graffiti and consider the color, design and stylistic choices made by the artist. With that also come thoughts about the process of making the piece. On the autobahn, there are works on road signs suspended over the famous highways. How in the world did the artist get up there? 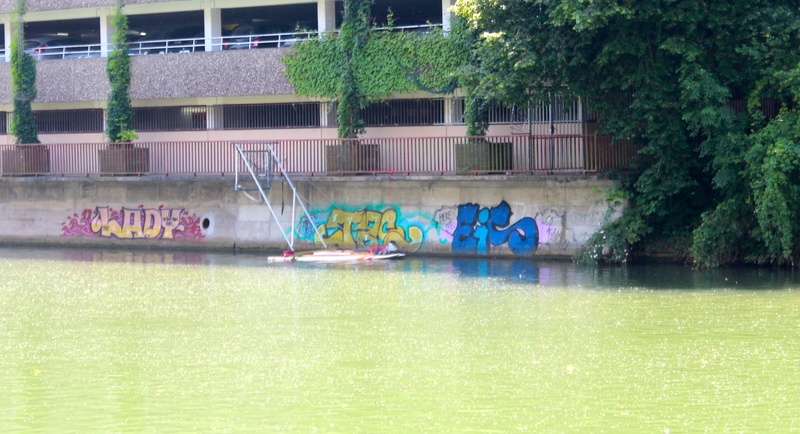 In Tubingen there was a piece on the canal of the river that could not be accessed unless in a boat or suspended by some sort of rope device used for mountain climbing. Each work of art had different bright colors, bubbled letters and swooping designs making them pop out, each distinctly different from the rest. The execution of a piece is the culmination of a great deal of time, labor and risk (Rose, 1994, 42). With that comes increased notoriety for the artist with complex designs and perilous locations. There is a lot that goes into each piece and it is important to consider the message the artist is trying to convey and communicate to the audience in such a public setting. What is the motivation behind each particular work? And ultimately, what is the story of the artist and their graffiti? 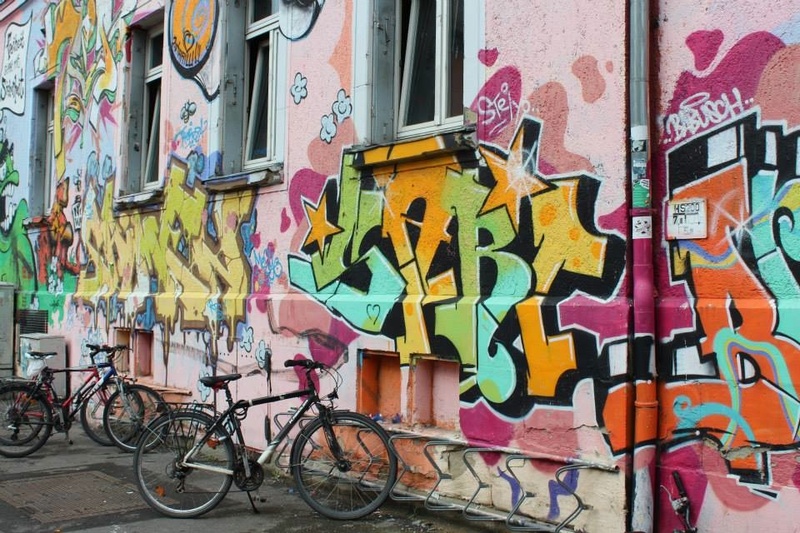 Ultimately, the graffiti in Germany represents the growth of the revolutionary aspects of hip-hop culture. This is true of other aspects of hip-hop culture as well. There are countless MCs and DJs the all over the world that use the music of hip-hop to tell their stories. There are also dance crews and breakers from every continent that have influenced and changed break dancing. What began as a response to the oppression of the minority communities in New York City has found its way around the world and is an avenue for addressing issues of oppression that exists in artist’s communities. With this in mind, the importance of hip-hop and in this case graffiti can never be forgotten or dismissed as vandalism. Instead, graffiti should be embraced as a form of painting that takes immense time, skill and precision and has pushed the world of art forward. Rose, T. (1994). Black Noise. Middletown, Connecticut: Wesleyan University Press.